Perfect for a wedding giveaway, our Two-Tone Malibu Retro Custom Sunglasses come in 12 great color combinations – 6 with black frames and 6 with white. 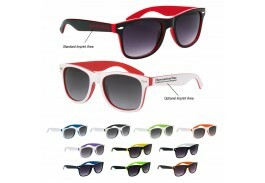 Choose one color or an Assortment so guests can choose one to match their clothing or personality. 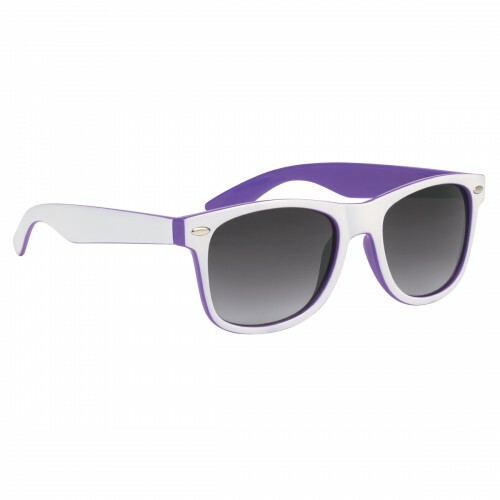 Personalize the glasses with your names and wedding date, and give your guests a lasting reminder of your special day. 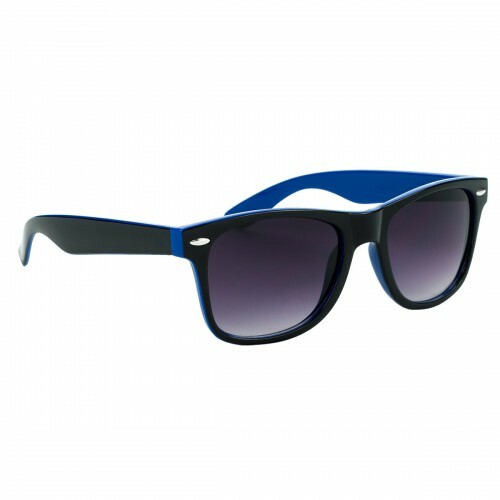 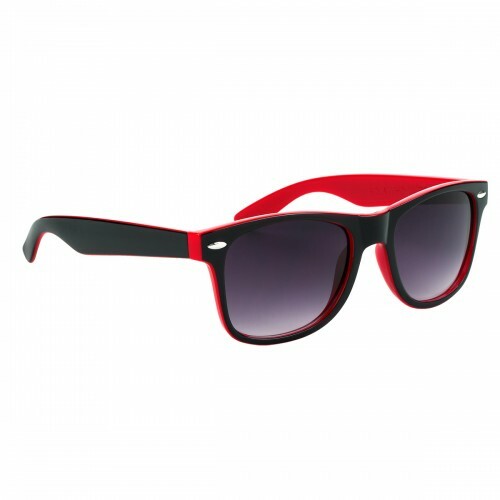 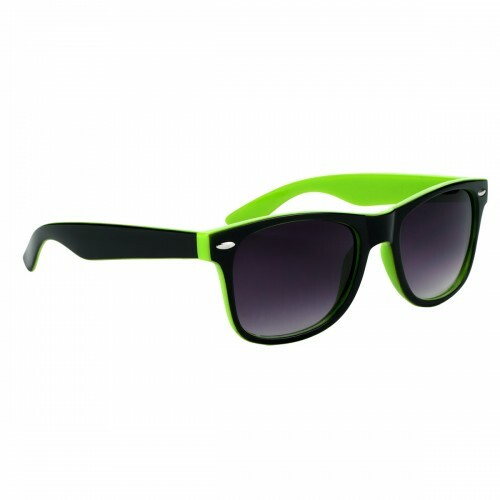 Their shapely plastic frames are made of Polycarbonate Material and small metal details adorn the frames on both sides. UV400 Lenses Provide 100% UVA And UVB Protection.